The move would give Amazon a much deeper view into what people buy when they’re not shopping on Amazon. We already have Amazon on our nightstands and kitchen counters, in our pantries and our TVs — why not in our wallets, as well? Experts weighed in Monday on a Wall Street Journal report that Amazon is looking into offering bank-like financial products, possibly with a partner like JPMorgan Chase. “They’re trying to put an iron fortress around their consumer franchise. Even though e-commerce has been the Trojan horse, when they look at other areas like health care, financial, the smart home — it’s getting further entrenched into the consumer lifestyle,” said Daniel Ives, head of technology research at GBH Insights. “I think there’s a lot happening with respect to e-commerce in general — particularly in regard with what Amazon’s doing with Alexa,” said Adam Nanjee, senior vice president of digital banking at the financial software company Zafin. “A lot of these initiatives are looking to connect the dots,” and integrate Amazon more deeply into people’s day-to-day lives, he said. 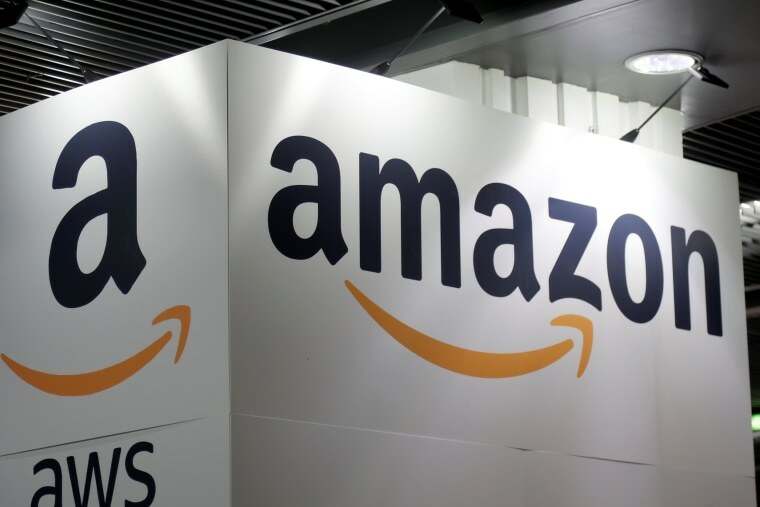 From a strategic perspective, experts say it’s unclear if Amazon would view a banking product primarily as a way to tap into a previously unreached segment of the consumer market, or deepen its relationship with existing customers. Historically, so-called unbanked Americans tend to be lower-income — the opposite end of the economic spectrum Amazon has targeted with initiatives like Amazon Prime and its acquisition of Whole Foods. Experts do agree that the potential upsides for Amazon are significant: It’s likely Amazon would save money on payment processing fees, and bank-like or debit-card accounts would give Amazon a much deeper view into what people buy when they’re not shopping on Amazon, giving it a valuable window into consumer activities outside its own ecosystem. This worries some consumer watchdogs. “I’m very concerned that Amazon already has a lot of information about their customers,” said Ed Mierzwinski, consumer program director at U.S. PIRG, the Public Interest Research Group. “If the retailer becomes the banker, then there’s much more information. Amazon gains a lot of information — that, I think, is their first goal here,” he said. Other retailers have sought to use a banking relationship as a way to expand their commercial footprint, only to be stymied. More than a decade ago, Walmart sought to obtain a bank charter, which it eventually dropped over regulatory and financial services industry objections. Banking analyst Bert Ely said Amazon would face a similar gauntlet. Amazon already dabbles in some corners of the banking universe through collaborations with existing industry players: Its Prime Visa card is issued by Chase, and last month, CNBC reported that Amazon extends credit to its sellers through its Amazon Lending program in partnership with the Bank of America. “Amazon’s mantra is to be maniacally customer-focused, to offer the most convenience, and if you think about the entire purchase process, payment is an integral part of that,” said Barbara Kahn, a marketing professor at The Wharton School. “Anything that facilitates payment or makes it so there’s one less moving piece would be consistent with an Amazon strategy,” she said. Ely drew a comparison between tactics banks use to retain customers, like direct deposit and online bill-pay that make switching institutions inconvenient, and Amazon’s growing presence in smart-home hardware, including home security.